To qualify for positions at major area hospitals and healthcare centers, aspiring NPs must first earn licensure as an RN. They can then pursue an advanced degree, typically a master of science in nursing (MSN), doctor of nursing practice (DNP), or doctor of philosophy (PhD) in nursing. Certification in a chosen focal area is also required. Popular NP specialties include acute care, emergency care, family practice, geriatrics, occupational health, pediatrics, psychiatric-mental health, and women’s healthcare. RNs must earn a hospital diploma, associate’s degree in nursing (ADN), bachelor of science in nursing (BSN), or direct-entry MSN degree. They must then pass the National Council Licensure Examination for Registered Nurses (NCLEX-RN) before commencing practice. LVNs must complete a state-approved certificate or associate’s degree program in vocational nursing. They must then pass the NCLEX for Practical Nurses (NCLEX-PN) national licensure examination. CNAs must finish a brief training program of approximately 100 hours and pass a state-administered written competency exam to obtain certification. Aspiring nurses in Longview can earn the necessary credentials at a number of top local nursing schools, including UT Tyler’s Longview University Center and two campuses of Kilgore College. Collectively, these schools offer a breadth of nursing programs. For example, the University of Texas at Tyler offers a dozen nursing pathways. Choices include a traditional BSN, an RN-to-BSN bridge program, an MSN degree with several specialization and dual-degree options, and a DNP program. Graduates of local nursing programs are prepared to seek positions at major area hospitals and healthcare centers. 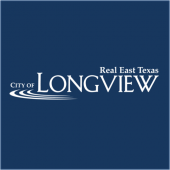 Longview has a robust collection of healthcare providers, including CHRISTUS Good Shepherd Medical Center, Longview Regional Medical Center, Select Specialty Hospital, Roy H. Laird Hospital, and Allegiance Specialty Hospital. Nursing salaries are among the highest in the region. The average annual pay is $74,650 for nurse practitioners, $60,240 for registered nurses, $41,840 for vocational nurses, and $23,300 for nursing assistants. If you’re ready to launch your nursing career in Longview, Texas, we can help. Below is a list of top nursing schools in the metro area to help you get started.